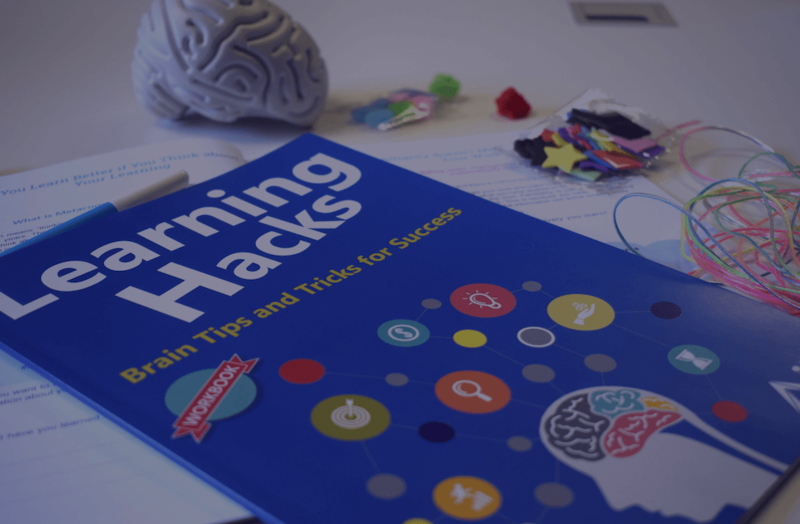 Learning Hacks is a study method course based on insights from a variety of disciplines, particularly that of Mind, Brain and Education (MBE), to teach students the fundamental truths of learning. Many myths prevail when it comes to studying. This course is aimed at uncovering these myths while teaching kids how to study more effectively. Could my time be used better when it comes to studying? How can I spend less time studying, yet remember my work? The course is also available to educators and parents. The parents’ course helps parents understand what their children will learn during their course and how they can strengthen their knowledge and skills at home. The educators’ course takes a more in-depth look at the resources behind the course and how to implement the learning strategies and knowledge in their classrooms. The course is presented during interactive two-hour long workshops once a week over a course of three weeks. While teaching students how to learn, the course itself draws upon principles of MBE (Mind, Brain, and Education), such as metacognition, active recall, and spaced learning. To find out how you or your school can benefit from this course, contact us today. Please note that the course is currently not available to individuals, but only to groups of 25 or more participants.